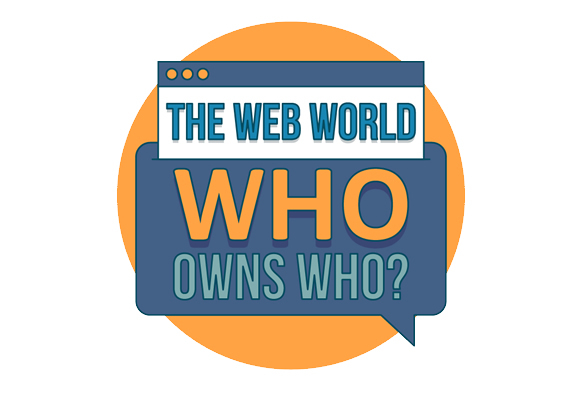 You are here: Home » Infographic: Who Owns Who in the Web World? There are lots of big names on the internet, with popular sites like Instagram, Amazon, Twitter, LinkedIn and more dominating most people’s top visited sites. But did you know that most of the sites or apps you use are probably owned by one of a handful of companies? 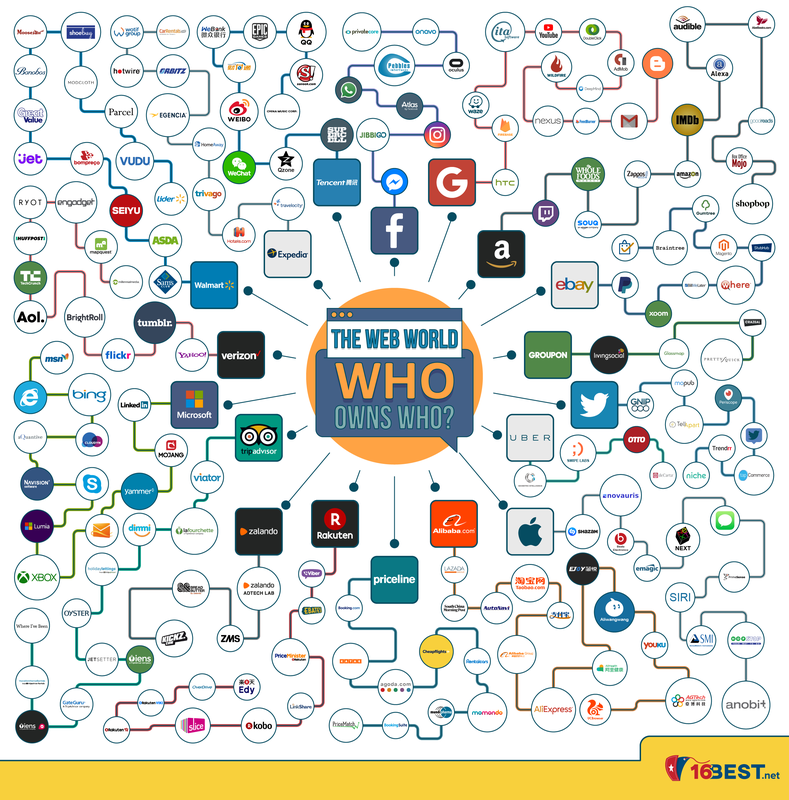 16Best.net has put together a useful infographic showing you exactly who owns who on the Internet. For example, did you know that Microsoft owns both LinkedIn and Skype, or that eBay owns Stubhub, Gumtree and PayPal? Some of these major companies make numerous acquisitions a year.